Friendsgiving for No Kid Hungry is a fundraising platform. Participants host a party with friends, co-workers or family during the holiday season and sign up to fundraise for hungry kids across America. 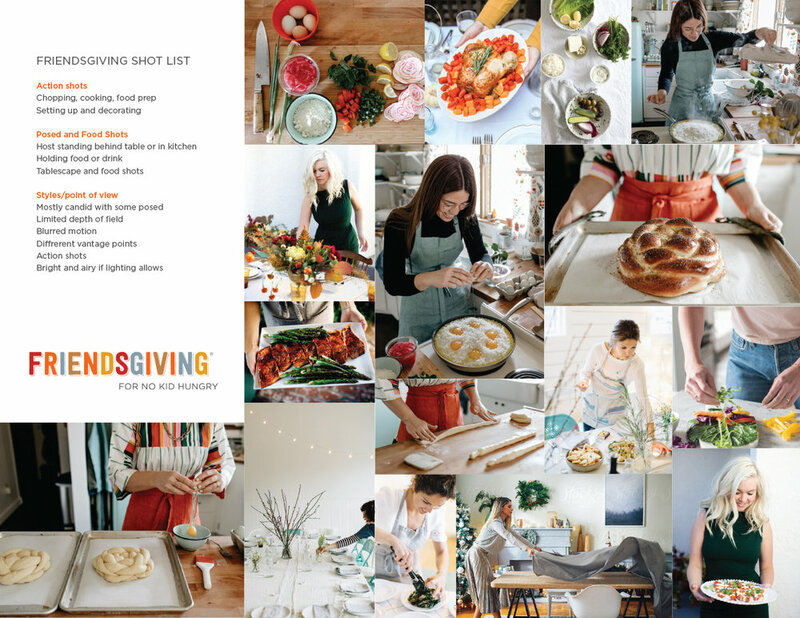 Participant planning book, Friendsgiving logo, apron designs and visual shot list for photoshoot.